You’ve seen the name Daley on numerous buildings, parks and plazas in Chicago — the name of a political family who’s had a presence in the city and greater Illinois for decades. After Richard J. Daley and his son, Richard M. Daley, served as mayor for a total of 43 collective years, William (Bill) Daley — the youngest of Richard J.’s seven children — is running for office. Bill Daley, a Democrat and 1970 Loyola graduate, is one of 14 people running in the highly contested Feb. 26 election for Chicago mayor. He announced his candidacy in September after current Mayor Rahm Emanuel unexpectedly announced he wouldn’t seek reelection. Bill Daley and Toni Preckwinkle are frontrunners in the race — with Preckwinkle at 12.7 percent and Bill Daley at 12.1 percent — according to a January Chicago Sun-Times poll of 644 likely voters conducted by WeAskAmerica. The other mayoral candidates who attended Loyola are Gery Chico, Jerry Joyce and La Shawn Ford. Bill Daley, who was raised in Bridgeport on the South Side, graduated from Loyola with a degree in political science and earned his J.D. from John Marshall Law School. He went on to work in law, telecommunications, finance and government, serving as U.S. commerce secretary under former president Bill Clinton in the late 1990s and chief of staff under former President Barack Obama in 2011 and 2012. He was a candidate for the 2014 Illinois gubernatorial race but dropped out shortly after filling out candidate paperwork, according to Ballotpedia. A commuter student at Loyola, Bill Daley said he took most of his classes at Lewis Towers at the Water Tower Campus, with a few classes at Lake Shore Campus — which he said was called the north campus at the time. He said Loyola attracted students from different backgrounds. “There were lots of people, commuting students throughout Chicago, who looked at Loyola as an opportunity to help them move in the world, up from different communities,” Bill Daley said. Bill Daley attended St. Ignatius College Prep, a Jesuit high school in Chicago’s Near West Side neighborhood, and said Jesuit principles have stuck with him throughout his life. “The commitment to Jesuits with social justice and fairness and community was a constant, not only in high school but at Loyola,” Bill Daley said. Bill Daley’s brother John Daley, who was a year ahead of him in school, said they commuted to campus together on the CTA Green Line and Red Line despite their father’s status as mayor. While they attended school, their father would be mentioned in government classes, John Daley said, but the family didn’t advertise their political status. John Daley said he recently ran into a person who was in a class with him and didn’t realize who his family was until they had been in the class for about six weeks. “Not that we were hiding it, but we never posted it or said, ‘Here we are, the Daleys,’” John Daley said. Today, John Daley is one of 17 county commissioners in Cook County, which covers Chicago. County commissioners are elected officials who serve in administrative roles for the county. They set policies and laws regarding property, public health services and public safety, while also maintaining county highways, according to the Cook County Board of Commissioners website. John Daley said two of their other siblings — Ellie and Mike Daley — also attended Loyola. 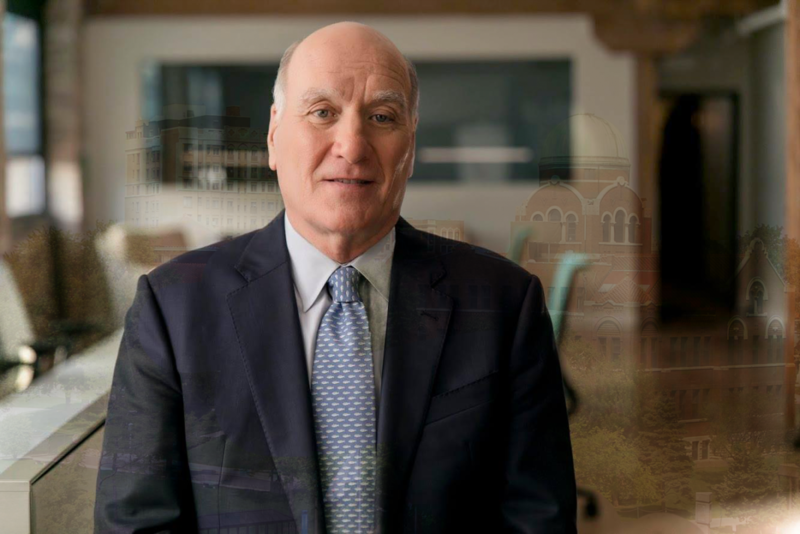 Bill Daley said he was on Loyola’s Board of Trustees for a short time and has been able to follow the university’s development through the years. 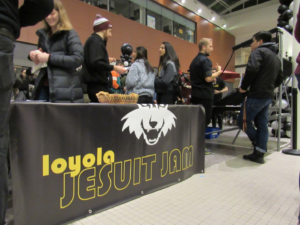 “It’s been great to watch, the force that Loyola has been for that part of the city, and obviously the main campus too,” Bill Daley said. He said if he’s elected, he wants to work closely with Loyola’s administration to improve crime in the neighborhoods surrounding the Water Tower and Lake Shore campuses. “I think the young people need to be more aware of the challenges in urban settings, especially when you get into hours of the night or morning, you’ve got to be more aware,” he said. Evangeline Politis, Loyola’s spokesperson, said the university is unable to comment on Bill Daley’s candidacy because Loyola is a tax-exempt and charitable institution, citing the Guidelines for Political Activities for Students, Faculty, and Staff, which mandates Loyola must follow federal and state regulations prohibiting institutions from participating in campaigns. Bill Daley also said he wants to make neighborhoods surrounding colleges safer so parents can feel more comfortable about sending their children to college in Chicago. His website says he also intends to focus on fixing Chicago’s citywide crime problem, making housing more affordable, reforming the public school system and helping fix the city budget. John Pelissero, a Loyola Chicago politics professor and the school’s former provost, said Bill Daley is focusing on a traditional set of issues. He said Bill Daley’s decision to run is interesting because he’s never been elected to political office before, even though he’s “toyed with” the idea. “It’ll be interesting to see whether his style, if elected, would be more like his father or his brother who sought political offices and were successful in being mayor of Chicago, or whether his style will be more of kind of the manager style that he’s been comfortable with,” Pelissero said. Among other issues, Bill Daley said he wants to focus on creating job opportunities so recent college graduates have more reasons to stay in the city after they finish school. “We are the number one city for college graduates, which is a great sign of the vitality of the economy, but how to keep [college students] here in Chicago and add value to the city is a big challenge for the next mayor,” Bill Daley said. He said while he’s proud of the work of his brother and father, if elected, the issues he’d face would be much different. “You can learn certain things from the past, and you should, but this is an election to elect a mayor for the next four years, not the last four and not the last 40 years,” Bill Daley said. John Daley said his brother’s experience working in government shows he’s capable to run the city. Chico, Joyce and Ford didn’t return requests for comment from The Phoenix by the time of publication. This article is part of a series which will cover Loyola graduates who are running for mayor of Chicago. 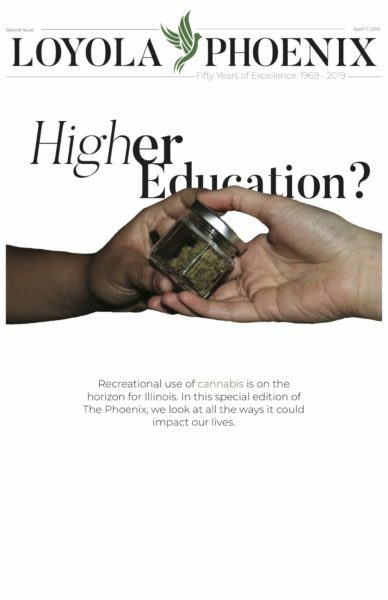 Grab a copy of next week’s Phoenix to read about another candidate. Mary Chappell is an assistant news editor at The Phoenix who studies journalism and political science at Loyola. Mary grew up in Denver, Colorado, and loves to explore Chicago, drink coffee, attend concerts and watch baseball. To lift content from another source and claim it once your creation referred to as plagiarism. Make a checklist – this saves your some energy. Merely grasping the writer’s idea is inadequate. Enjoyed the CGI, I have an understanding of what people’s problem must have been. And the oldest one beyond everyone was during last year 1989 at 59, Sean Connery. It will bring hundreds of visitors to all your site. I am about to share with you an easier and simpler methods to make lots of your money. Firstly you need the keywords. You need keywords on your page that are relevant to that of the search term. higher because of such. Google LOVES pages that are tightly related the search terms. Even though this usually applies more to sponsored links, it also uses this method to rate pages higher on their free results. Riff. Her article is mostly about the town, not Lewis! The success of your article really depends over your headline (title). grab their undivided attention so they will want shared there . your blog. 75% of as well as effort writing your article end up being spent on creating a major title. Google slap is fix one’s AdWords Account and let his AdWords campaign perfect system. He will see that within amount of days, cash will pour into the private account. In this connection, a tight training program will stand a an affiliate good stead. This brush training will teach learners how to create good page ranks. for me. The idea is always to name a list ‘contact-a-web-designer.html’ instead of just ‘contact.html’. Or rename your ‘download’ folder as ‘download-cheap-web-templates’. This make any sense? I hope it’s going to. Try it, totally . majority of SEO expert normally run on some Meta tags and portion of text messages. But is the relevancy of this same with entire page, they do not know. Write your articles as you were talking for one’s readers. The CEO cannot do every aspect of that business venture. Like with everything you’ll ever learn it takes practice to be able to it ideal. Look for websites that are low in price with potential for achievement.